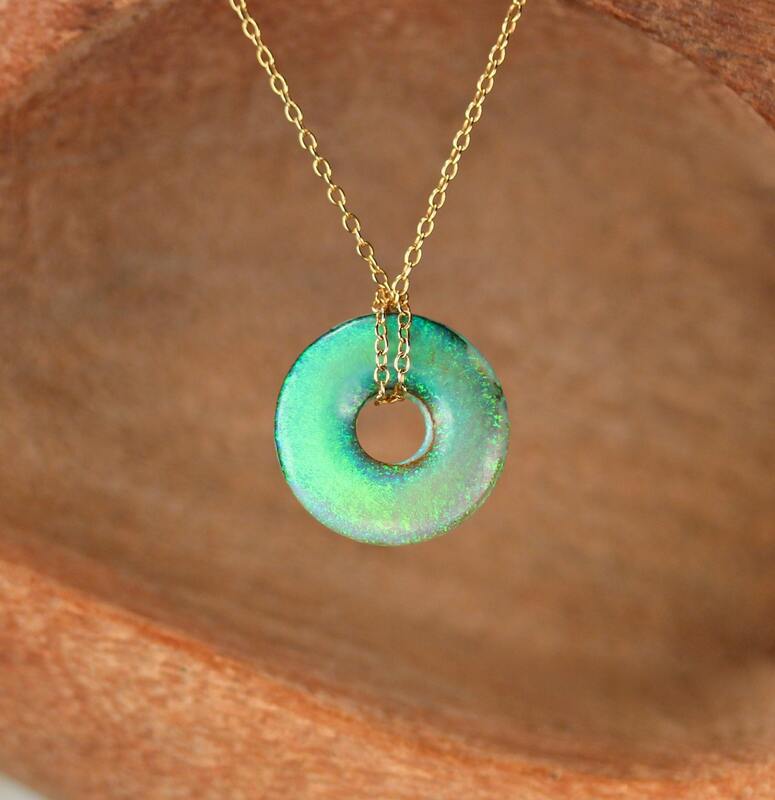 A STUNNING one of a kind sterling opal of your choice on a 14k gold filled or sterling silver chain. 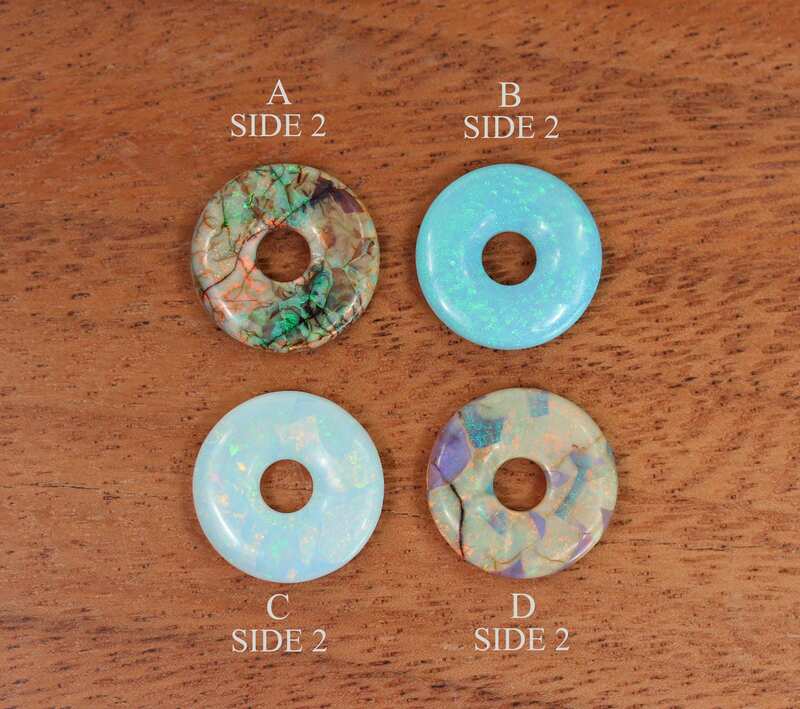 These beauties are different on each side and can be worn either way depending on your mood! Please choose your favorite life saver as shown in the fourth photo ;) The mannequin is wearing a 16 inch chain. 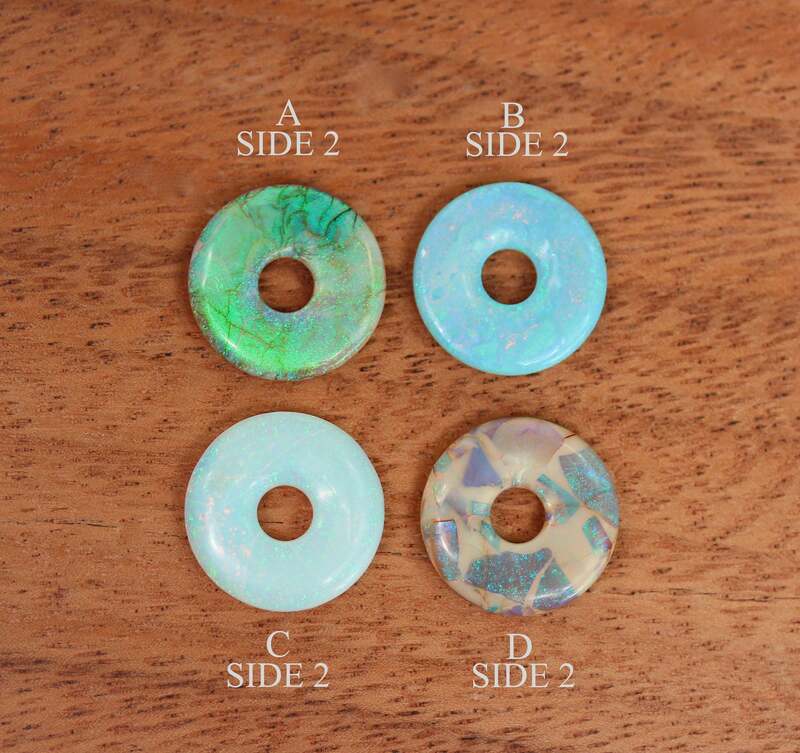 These beauties measure aprox 18mm across. Heads up! I have a very limited quantity of these! These beauties are created over a 4-6 month process using uniform nanoparticles of silica dioxide and water. 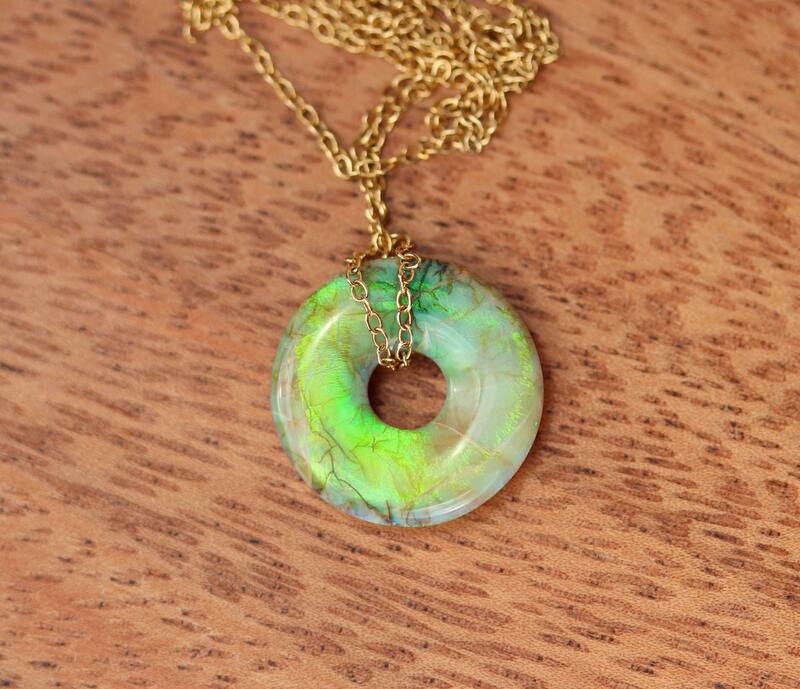 They are the hardness of natural opal - between 5 and 5.5 on the Mohs Scale. This means they are as fragile as glass! Please handle them with care.